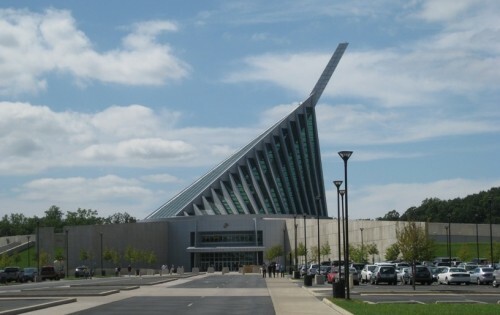 SWSG engineers provided cold-formed steel design for the construction of a new museum at Quantico Marine Corp Base. The building is a 2-story circular structure with about 270 degrees of the circle below grade. The building is approximately 48 feet high, with an additional mast feature resembling the Iwo Jima memorial. SWSG designed cold-formed steel framing for the walls that are above ground, the mast, and a 24’-0” deep underground HVAC support system vault. 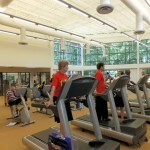 Morgan State built a new 236,000 SF library. 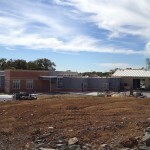 SWSG prepared construction documents for the cold-formed steel exterior framing. Services included plan layout drawings, sections, connection details, and calculations. Photo provided by JP Construction.